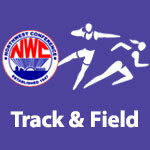 May 2014 – NWC-Sports.com | The Official Site of the Northwest Conference for nwc news, nwc scores and more. Bluffton won the Northwest Conference 2013-14 “Don Bachman Award of Excellence” for the first time with a strong finish in the spring sports season. This award recognizes the school in the conference that exhibits the highest level of consistent excellence in conference-sponsored sports and scholastic bowl competition. The Pirates compiled a total of 80.5 points to defeat Crestview (79) in a close race. Columbus Grove finished third with 70 points. For the first time in the history of the award all league schools had at least one championship/co-championship. This year Bluffton earned NWC titles in Girls Soccer and Baseball. In addition to the co-championship in Baseball, the Pirates had a second place finish in Boys Track, were co-runner-ups in softball and finished third in girls track during the spring. These finishes enabled Bluffton to surpass Crestview in the end of the year standings. Patrick Henry 11 Columbus Grove 0, 5 inn. Minster 6 Crestview 5, 9 inn. Columbus Grove 4 Miller City 3, 11 inn. Crestview 15 Spencerville 1, 5 inn. 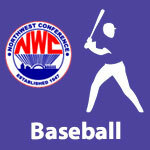 In voting by Northwest Conference baseball coaches for the 2014 baseball season. senior Damian Helm, a pitcher/first baseman from Crestview was named Player of the Year. This follows Helm’s selection as player of the year in basketball and receiving co-player of the year honors last year in baseball. Helm was a near unanimous selection receiving 159 out of a possible 160 points in the balloting. Bluffton coach Sam Fruchey tallied 22 points to be named Coach of the Year at the all-conference selection meeting Monday evening at Delphos Jefferson. Fruchey led the Pirates to a 6-2 record and a Northwest Conference co-championship with Crestview. Crestview’s coach Jim Wharton finished second in the coach of the year balloting. Damian Helm was 5-1 with one save on the mound for the Knights while sporting a 1.25 ERA. He struck out 53 batters and walked only 3 in 33 2/3 innings. Helm also hit for a .464 average in league play while batting .343 overall. 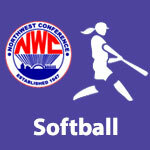 In voting by Northwest Conference softball coaches for the 2014 baseball season. senior Kirstin Hicks, a pitcher/first/third baseman from Crestview was named Player of the Year after being runner-up for that honor during the 2013 season. In a close vote, Helm edged out junior Hope Schroeder of Columbus Grove by 3 points with senior Erin Conkle of Allen East finishing another 4 points back. Crestview coach Carl Etzler tallied 20 points to be named Coach of the Year at the all-conference selection meeting Monday evening in Delphos. Etzler led the Knights to an 8-0 record and a Northwest Conference championship. The coaches of the co-runnerup teams, Travis Gallmeier (Columbus Grove) and Tony Rumer (Bluffton) finished second and third respectively in the balloting. Kirstin Hicks batted .475 with 6 home runs and 42 RBI’s for in leading the Knights to an undefeated league championship. Hicks also posted a 9-4 record as a pitcher. Columbus Grove won the boys championship for the 3rd year in a row with Coach Chris Grothaus being voted as NWC Coach of the Year by his peers. Senior Noah Stratton (Bluffton) was voted as the NWC Male Athlete of the Year for the second year in a row. Stratton won first place in both the 400m Dash and the 4x200m Relay while finishing 2nd in the 200m Dash and the 4x400m Relay. Columbus Grove won the girls championship with Coach Tim Staley being voted as Coach of the Year. Senior Brittany Archer was voted as Female Athlete of the Year. Archer won 3 events (100m Dash, 4x100m Relay, and 200m Dash) while finishing 3rd in the 4x200m Relay. Wayne Trace 13 Delphos Jefferson 2, 5 inn.